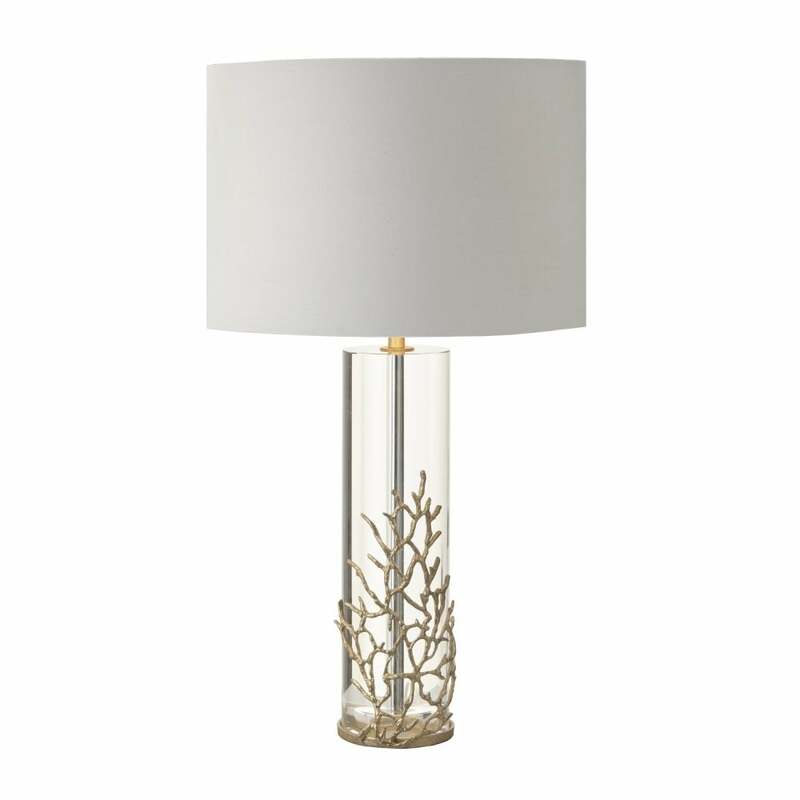 Combine elegance and style in your interior with the Harter table lamp from RV Astley. The Harter table lamp features an elongated crystal column which beautifully glistens and reflects the light from the drum shade above. Ornate gold filigree adorns the crystal column. Inspired by the elements of nature, the coral reef inspired filigree features intricate interwoven strands of antique gold detailing. Illuminate the beauty of your interior with the understated glamourous Harter table lamp. Combine as a pair in the bedroom for a casual luxury. Add with other metallic home accessories for a luxurious look. Style with the gable table lamp from RV Astley for the ultimate luxury lighting scheme in your interior.